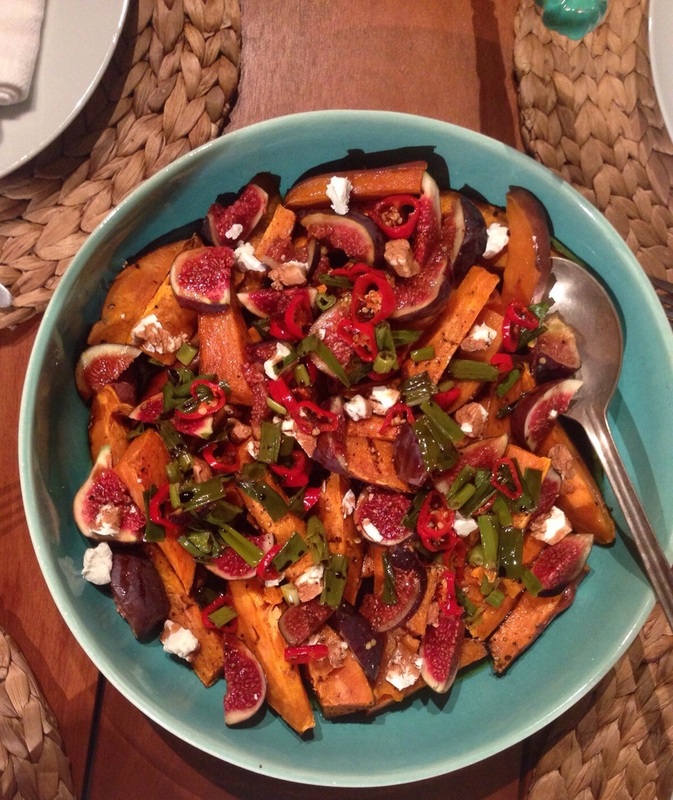 Right, so a few of you liked the idea of this healthy recipe posts on the blog so here it goes. I am by no means a foodie or a health-nut but I do really love my cooking and, at the same time, love food that leaves me feeling like I have given my body what it needs without making me feel guilty and like I have just undone all the hard work I have put in at the yoga studio or gym. My first two recipes are very simple and so easy to do, I did that on Saturday eve and they went down very well. I made this Houmous using my Nutribullet (which is a new addition to my kitchen so I try incorporate it wherever I can, I’m a tad obsessed). 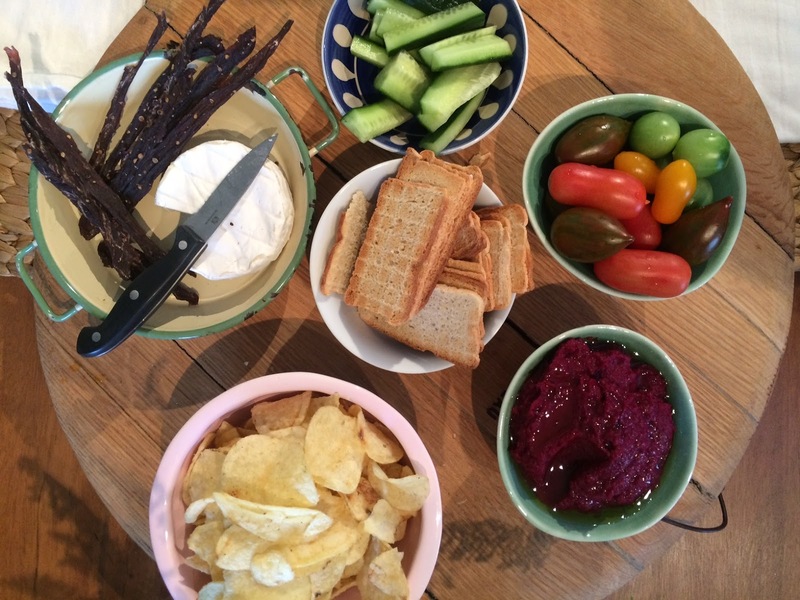 This Houmous can be done using peas or carrots too – just simply replace the beetroot with either of these two. 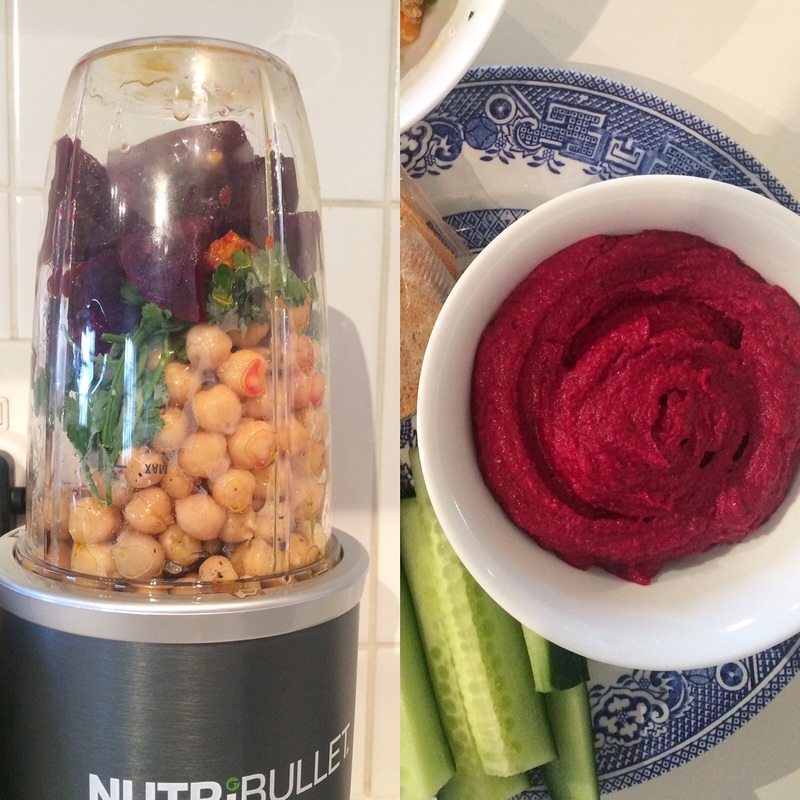 Pop all the ingredients in your blender or Nutribullet and blitzed up for a minute. That’s all. Slice the potatoes into wedges and pop in the oven for 25/30min – until cooked through but not smooshy. Let these cool and pop in your salad dish. 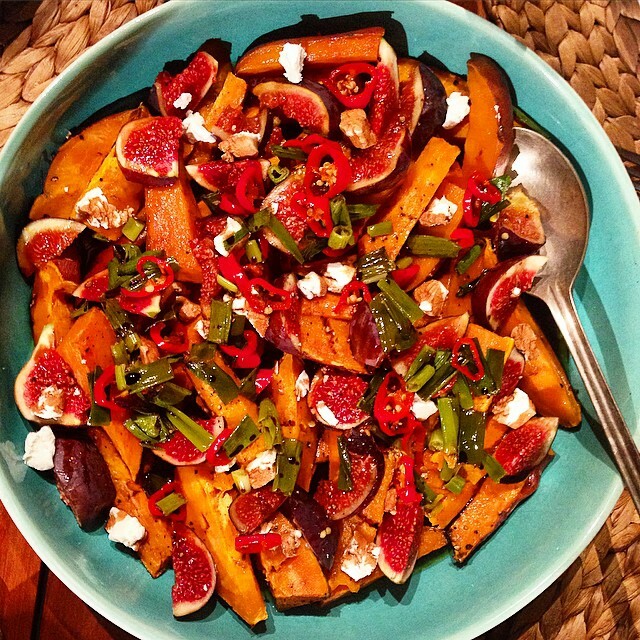 Slice the figs into wedges and put these into the dish. Crumble goats cheese over figs and potato. Put 4-6 big glugs of balsamic vinegar in a pan with 2 tbsp of brown sugar and boil off until it forms a sticky glaze, put this aside to cool in a bowl. Slice the spring onions into 2/3cm slices and put in the same pan with roughly sliced red chillis and a touch of olive oil. Cook these off for 5 minutes, drizzle over salad followed by drizzling over the balsamic glaze. 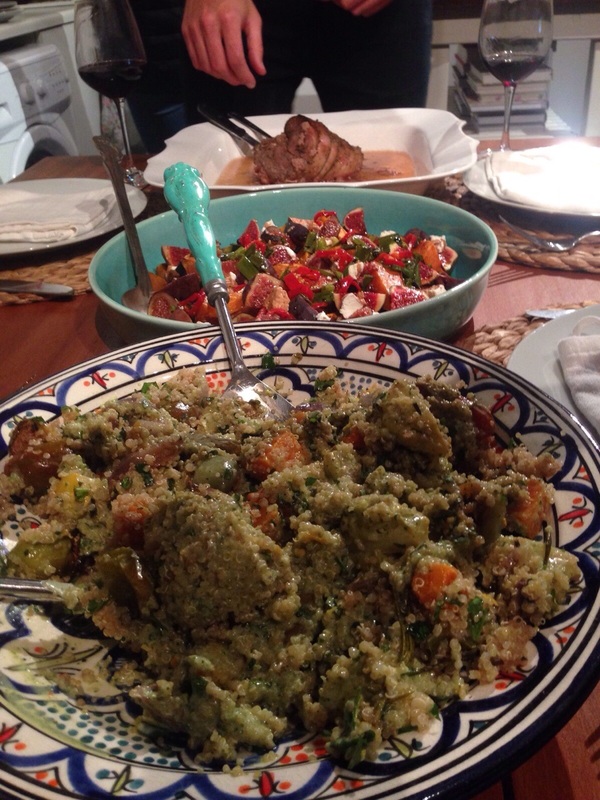 This other salad is my veggie quinoa salad with yoghurt mint and basil dressing, shout if you want this recipe too. Hey, I had read this post way back and dropped by again for the salad recipe. Please could you also share the quinoa salad recipe? Thanks. Love reading your health posts as much as I love your beauty posts. Keep going girl.